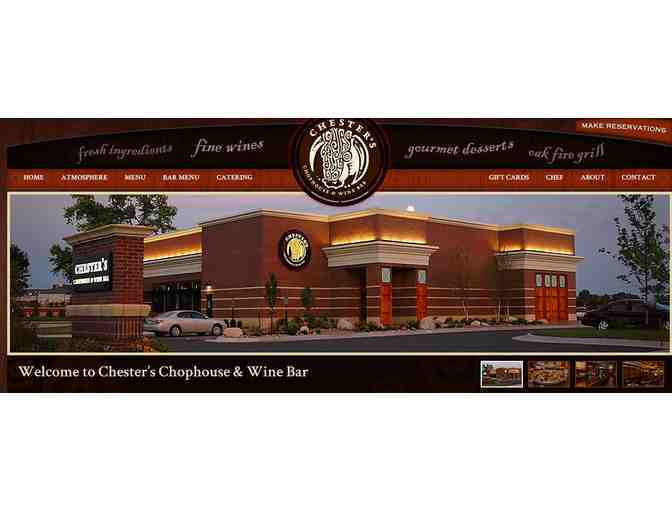 Dinner for 4 people at Chester’s Chop House prepared by Chef Bobby Lane. Chester's is Wichita’s premier fine dining establishment since 2006 and is an eleven-year recipient of the prestigious Wine Spectator award. Fine wines to accompany dinner donated by Theo Mellion, Bailli de Wichita. Winner picks six bottles of wine from the cellar Theo Mellion to accompany the progressive dinner at Chester. Certificate holder to coordinate date and time with Chef Bobby Lane.